Amanda and I are so excited to launch an Instagram series for the month of February. 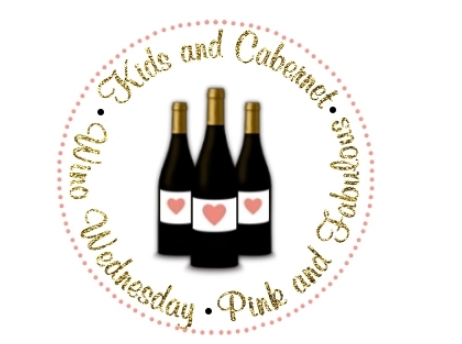 This is going to be a weekly series, each Wednesday (hello, Wino Wednesday!) of the month, beginning with Wednesday, February 3rd. Use the hashtag #lovelystyledlife on any snap that inspires you or is an example of what you love about your life. It can be anything - home decor, fashion, food; whatever it is that inspires you and makes you happy! Tag your friends to join in! The best part of this series? We will be giving away a $40 gift card to Target (a great excuse to pick up some pretties for your house or your closet!) to one lucky winner. The giveaway will run the last week of the series, from February 17th through February 24th, with the winner announced after that. Entries will be taken here and on Amanda's blog. Don't forget to follow along on Instagram and we hope you will join us to bring a little warmth and happiness to the month of February! Don't forget next Wednesday is our first Wino Wednesday of 2016! We hope you will join us! Such a great idea - love the hashtag! What a fun concept, lady! Yay!! So excited to join forces! this is going to be a blast! Fab link up love the hashtag! Love this idea! I'm always in for some pretty Insta pictures! So will we share our photos on the blog on Wednesdays? This is such a fab idea!! I love all these things, so I can't wait to join in! Sounds like fun!